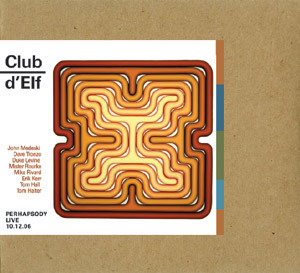 "Perhapsody," the seventh live Club d'Elf CD on Kufala, sports "Pane" on the cover. I'm pleased to have done all their live covers, and hope to do many more. This one sounds particularly good, due to excellent recording and a great lineup. You can buy it, and all the rest (collect 'em all!) right here.